The Weekly Stuff Podcast #196 – Doctor Who Series 10 Finale Spectacular! It’s an all Doctor Who all-the-time episode on the show this week, as this weekend saw the 10th series reach its dramatic conclusion with “The Doctor Falls,” an episode that instantly enters the show’s pantheon as an all-timer. 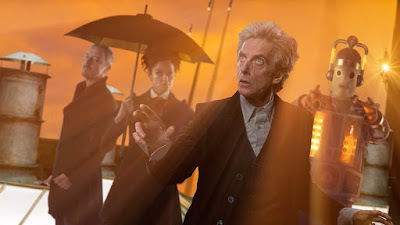 On its own, the episode gave us plenty to talk about, but we also had to consider the hour in context of the season preceding it, discuss how well this season fared on the whole, think about where the show is going from here, and begin to close the book on this incredible Steven Moffat/Peter Capaldi era of the series. Doctor Who has always been and will always be one of our favorite topics, but it’s been a particularly fun run with Moffat and Capaldi at the helm, and while there’s still the Christmas special to go, “The Doctor Falls” made for one hell of a climax, more than worthy of devoting an entire podcast.